Louise Gray for ASOS is as fun and colourful as you would expect from the generally cheery, fun, colourful London designer. Summery pantones abound, and there’s also a smattering of heavily-stitched, 70s-inspired denim pieces. I love (lol?) 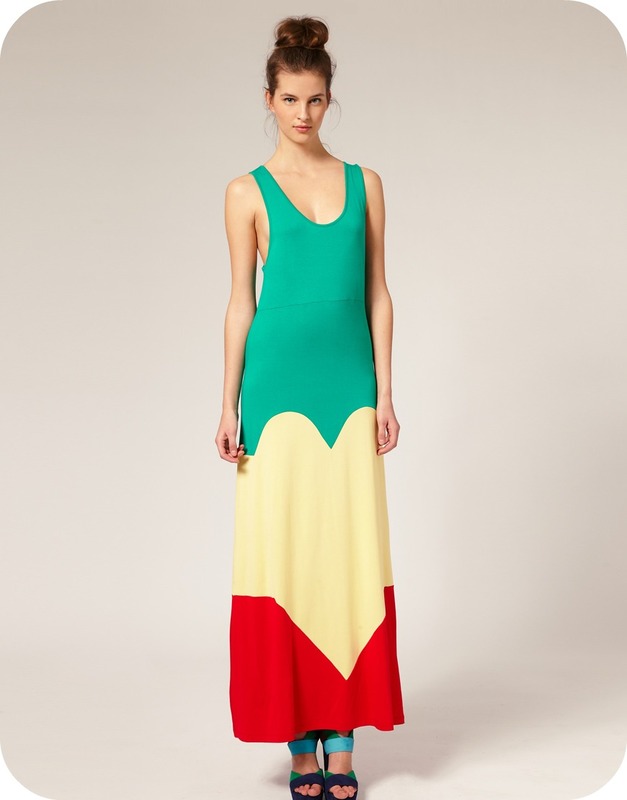 these heart motif dresses – especially that vaguely Jamaican-respecting green, red and gold maxi. You can buy the pieces from a bargainous £40 on ASOS now.